The firm behind instant messaging app Snapchat has told MPs it may consider changes to its friendship streaks, which have been criticised for being potentially addictive. Streaks are used as a mark of a close friendship within the Snapchat app. It involves friends exchanging messages but each response must arrive within 24 hours. Some Snap users juggle dozens, or even hundreds, simultaneously. 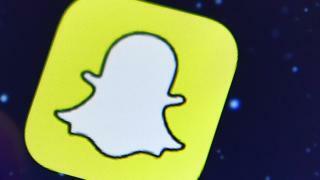 Snap executives told British MPs they would "revisit" the feature. MPs from the Digital, Culture, Media and Sport select committee are exploring the addictive nature of social and gaming platforms. Streaks are created within Snapchat if two users have exchanged messages for more than three days in a row. The longer they continue, the greater the streak. Some youngsters ask friends to sign into their accounts if they can't, in order to maintain their total. But committee chairman Damian Collins compared streaks to likes on Facebook and re-tweets on Twitter. "It seems that the value of a relationship could be measured in the length of a streak," he said, asking whether parents who felt that they were putting "undue pressure" on their children could remove them. No, said the executives, but both promised to "take the thoughts of the committee on board". "Streaks were meant to be a fun thing. We have reduced them in size by 30%, in line with recommendations from the Children's Commission, but we are always looking at whether we should sunset a particular feature and we will revisit it," said Snap's Stephen Collins. The firm also faced tough questions about how it makes sure that children under the age of 13 are not joining the platform. One MP said he had joined the app easily despite supplying a date of birth that indicated he was 12 years old. Mr Collins acknowledged that it was "not possible to keep under-13s off any platform" because they can easily get around parental controls. "We need a robust age verification system and we are working with the Home Office on this," he told MPs. In response to the hearing, Tony Stower, head of child safety online at charity the National Society for the Prevention of Cruelty of Children (NSPCC) said: "We know that 18% of eight to 11 year olds have a social media account, and yet social networks still fail to build child safety measures into their platforms from the start. Dealing with it after harm has taken place is simply too late. "It is evident that tech firms will not do enough if left to their own devices, and so it is vital the government holds its nerve and brings in new laws and an independent regulator to police the Wild West Web and force social networks to introduce a range of protections to keep their young users safe." The firm was also asked about a phenomenon of "Snapchat dysmorphia" in which filters and lenses alter body and facial features. The executives were asked if they felt they were part of a growing conversation about whether such systems were encouraging young girls to have body issues and even depression. They said the filters were "a fun way" of overlaying reality and that "more research was needed across the whole industry" on the societal effects of beauty apps and filters. Snapchat's involvement in the high-profile and tragic case of Breck Bednar, a 14-year-old boy who was murdered by Lewis Daynes after making friends with him on a gaming website, was also under scrutiny. Snapchat has faced media criticism for failing to provide data to police investigating claims that the murdered boy's family received messages via the platform which graphically recounted the killing. The messaging firm said it would take a year for police to get this data because the firm is based in the US and therefore bound by an agreement known as the Mutual Legal Assistance Treaty. Mr Collins told the committee that Snap had been asked by Kent police about its policies but had never formally been asked to release any data. It said it had spoken to Breck's family about how to report and block content and how to preserve data for any future police investigation. It also said it had advised them on resetting their accounts and not accepting friendship requests from people they did not know. Asked whether Snap could have made an exception and given police the relevant data had they asked, Mr Collins said he would have to check with Snap's legal team.